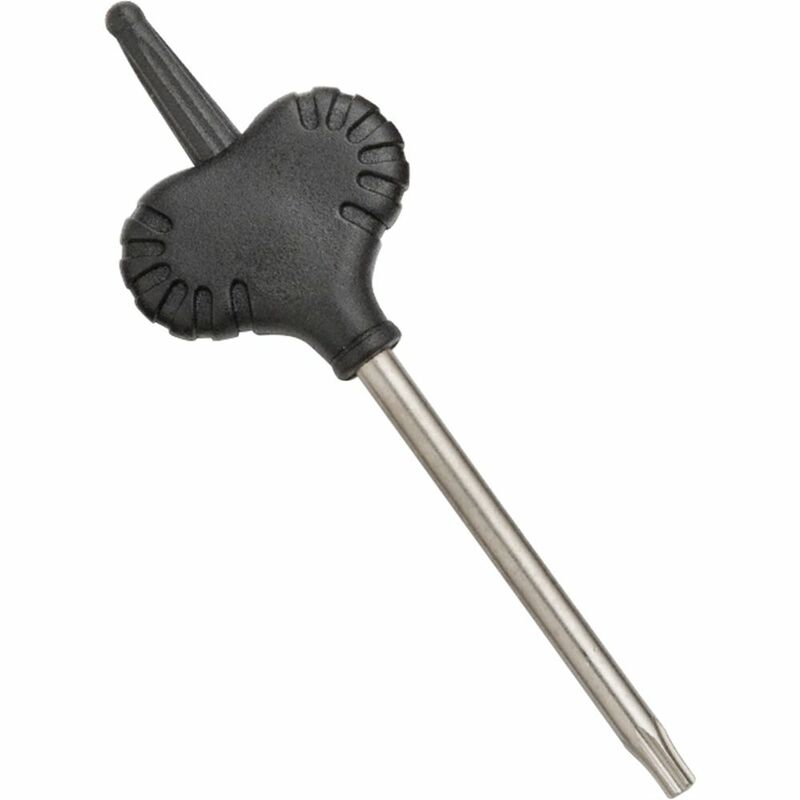 Comfortable handle with rubber overmold for excellent control and reduced fatigue—replaceable round carbide tip needs no sharpening. 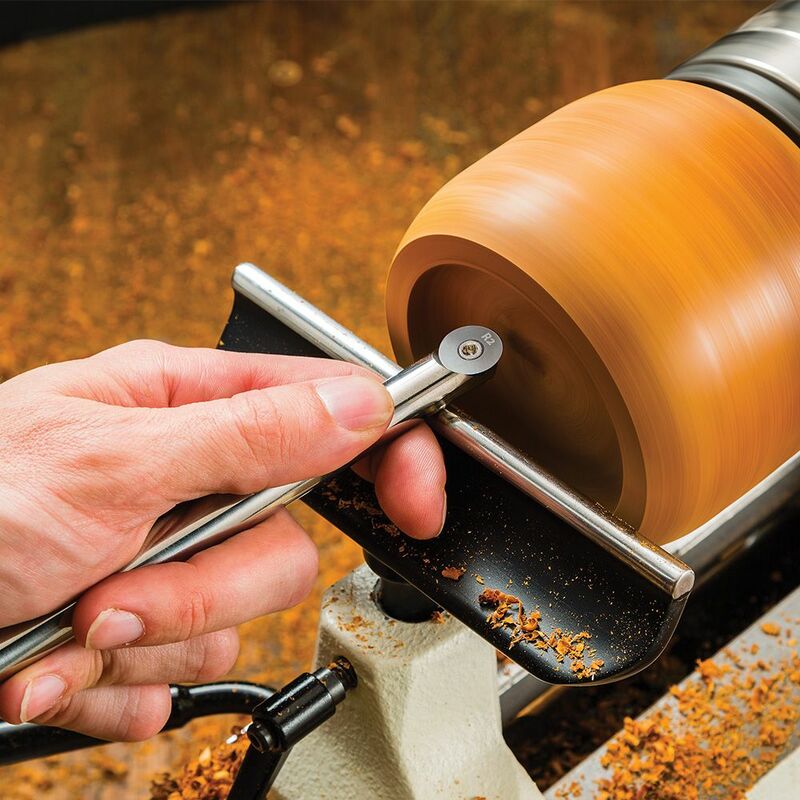 This Full-Size Carbide Turning Tool from Rockler features a replaceable, rotatable cutter that eliminates the hassle and downtime of sharpening. Simply rotate the carbide cutter for a fresh, sharp edge, and replace it once all available edges have grown dull. The solid carbide cutter stays sharp for longer when compared with steel, giving you a much longer useful life. 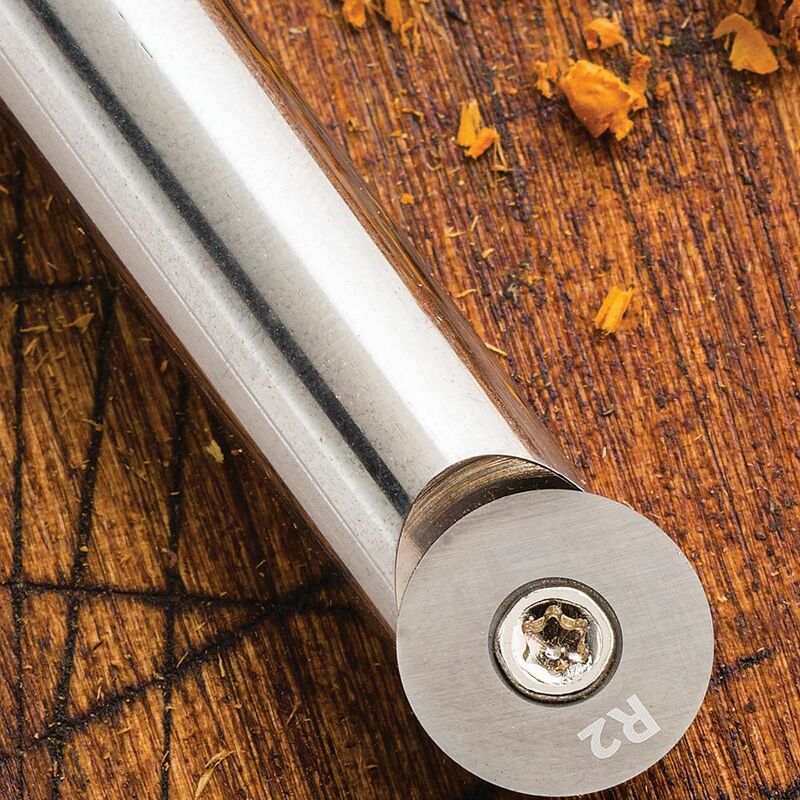 Shaft features a flattened back for stability when using the tool rest. The handles are made of solid ash encased with a thick, molded rubber end for an enhanced grip and reduced fatigue. 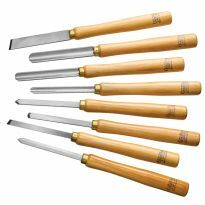 They're great for beginning to advanced woodturners, ensuring quick success without the frustration of dull tools. Since you don't need to invest hundreds of dollars into sharpening equipment, they're also an excellent value. Note: Carbide cutters are not interchangeable between the different tools. Great tool; use it often and efficiently. Love it! 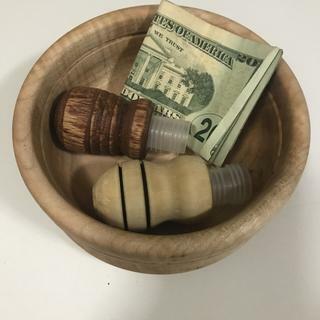 I have acquired a number of turning tools in the search for one that works well, particularly hollowing out bowls/vases with narrow openings at the top. This tool is the best I have found/used. It produces smooth surfaces and minimizes the tendency for catches. The flat on the shaft enhances control by facilitating holding the tool steady on the tool rest while others with round shafts are more difficult to control. cuts like butter. a great addition to my mini carbide set. With this and the square tip you need very few other tools. 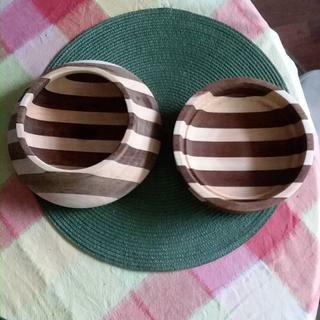 I just got started turning bowls this was a good purchase for me . You can’t go wrong buying this tool, it’s so easy to use and does a great job. What with the length, quality of carbide, and rubber end of the tool, my choice of Rockler turning tools was a good one. 5 * tool....however my suggestion is that you include a few replacement cutter discs, at least 3, with the tool and just increase the tool price accordingly. I now have a 20 mile drive, one way, to your Altamonte Springs store for the cutter discs. That's 40 miles round trip & I get 14 miles/gallon @ $2.899 / gal. How about a new store located in S.W. Orlando like the Dr. Phillip's area. Drive time can take as long as 1hr, depending on delays on I-4 through Orlando one way. Just learning how to turn wood. Started with cheap set of traditional tools and I just couldn't keep them sharp. Wish I had just started with these, much easier to use effectively. I bought all four tools (square, square with rounded edge, round, and diamond). I'm addicted. Very fast cutting, easy to control. Longevity of sharpness still evaluating. Solid purchase. Big up grade of traditional tools, no catch or sharpening, love the balance and feel of the handle, great deal on sale! Been doing this for a long time, I know this is a lot of pride in learning how to use traditional tools but anything that makes it safer and easier to do is the correct progression. I purchased this one and the square radius. It takes a little getting used to. I was very pleased that this was a great tool hollowing out a bowl, particularly in making a smooth transition from the side to the bottom of the bowl. I can turn woods that with traditional gouges I could not. Cherry tears out with the traditional gouge, but with the carbide tools, it does not and you never have to sharpen them. Very easy to use and stays sharp a long time even in Arazona Iron Wood. I will be buying Crain knock next for getting in deep in vace and deep bowls. I give this tool a five. I didn't know if I would like the carbide but I do. The high speed steel require more skill to get a good looking finish. I'm still learning but the tool worked for me. My first Carbide tool! It is everything the salesman said!! Stays sharp even while cutting down 1.5" acrylics!! Love this tool! Love not "feathering the gouges on the grinder!! I was tired of constant sharpening of my HSS tools and decided to purchase these. they work great. I have turned several bowls and lots of pens even a few Christmas ornaments with no problems. could be a tad longer but the oversize cutting bits are nice and the tool is comfortable. Cuts true. These carbides are great! Easy to use and take care of. this tool is really sharp and I was able to get long strings of wood while turning. Amazingly sharp and nice long handle for leverage. One of the best purchases I have made as a novice woodworker. Much easier to use than coventional gouges. I have the Easy Wood short set and this looks to be just as good if not better quality. The cutter looks to be more highly polished than the Easy Wood. I haven't tried it yet but the feel is very good and the length of the tool is as long as any other carbide turning tool that I have seen in magazines. The tool worked very well and was easy to control. The carbide holds its edge for a long time. Easy to use, and very comfortable to hold. I use it along with traditional tools for good results. Carbide lathe tools the only wayto go. Works great. Speeds up the turning process dramatically and much easier to manage for heavier work than the smaller version I had. I bought this tool for my wife so she could try bowl turning. I figured it would be easier for her to use than a bowl gouge. She loved it. 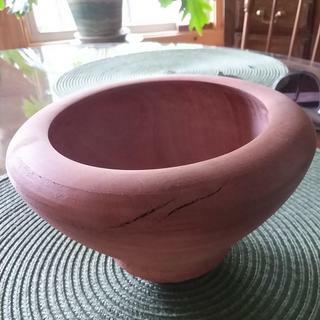 Today I tried turning a red pine bowl with it. I was amazed at how easily this tool worked. 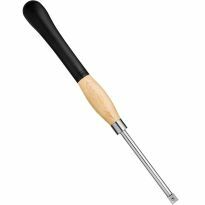 I would recommend this chisel to anyone who turns wood, it is great. 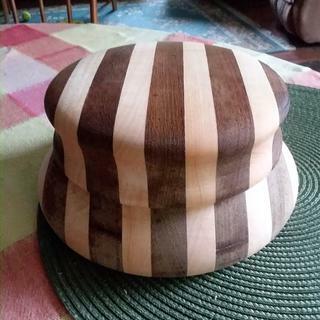 I have some cherry that I want to turn next, so will be anxious to see how it does on that. this tool is very useful and user friendly. I like it very much. This tool is outstanding. 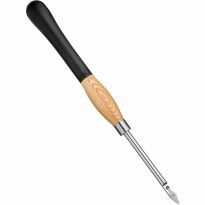 This tool makes smooth cuts, and is easy to control the cut and it does not gouge or catch the wood as a bowl gouge sometimes does. 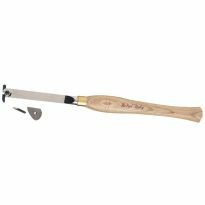 The flat bar supports the correct cutting angle and gives great stability on the tool rest. The large handle fits my hand well and gives great control. I highly recommend this tool. I'm not sure why I waited so long to get it... I am using it almost exclusively... I need to buy the rest of the set - as soon as I can! Just what I had hoped for ! Can not wait for the other shape full size tools are put on sale.. great investment, well worth the wait!! Makes a nice smooth cut so less sanding. This is hands down the best lathe tool I own, Not a gouge and not a scraper, but Wow does it carbide bit cut fantastic, I have the square tip now to get the radius and the detail. This tool is a joy to use. It is very forgiving. The ergo handle is a pleasure to use. 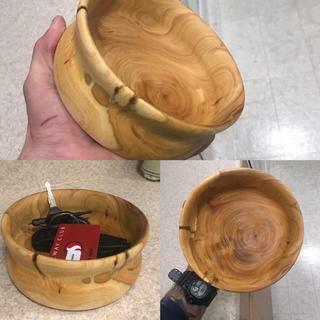 Right out of the box I turned a cedar bowl in less than a hour. 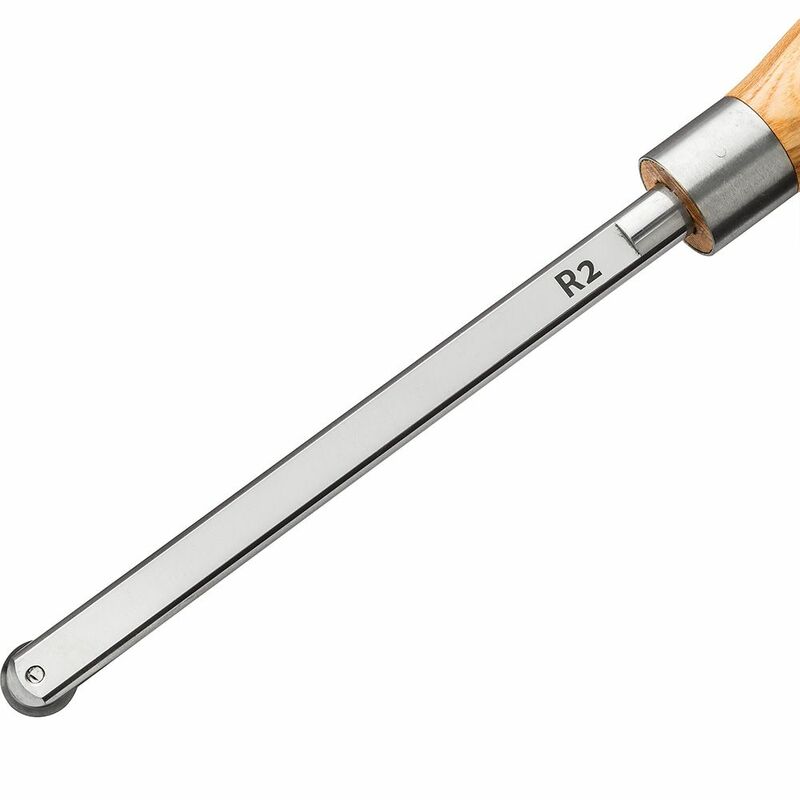 If you are looking for a bowl turning tool, this Rockler r2 is perfect. Going to buy the square and the square radius tools now. High quality Rockler brand tool. Like this a lot. works great, no problems. Well built with comfortable handle. No complaints from me. I also bought the smaller set of three and they're great too but the full sized versions are better. As a beginner to this "hobby" I had a nice surprise with this tool. I will definitely add more of these to my collection! Just what I needed and it was a bargain. Just waiting for you to put the square tool on sale so I can purchase it. I don't know that I will every purchase another "fixed blade" turning tool again. I wish I had tried these before I invested in my expensive sharpening system. Who wants to spend time sharpening when there is wood to be turned ! buy one. Wanted to try this type of tool. Also sales price. 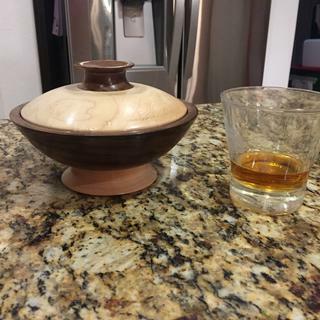 Needing an improved method for hollowing bowls, etc. Reviews give a very positive experience with this tool. Real good reviews and on sale. Truly appreciate the square turning tool previously ordered. Will match that tool. My last round carbide tool, Savannah, snapped apart at the connection of the handle and the tool part. 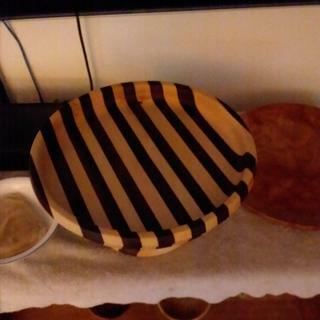 It was a special request from my woodworking son. Quality is excellent, comfortable to use, needed them as I'm a new Turner on a very tight budget. Black Friday sale way to good to pass up! 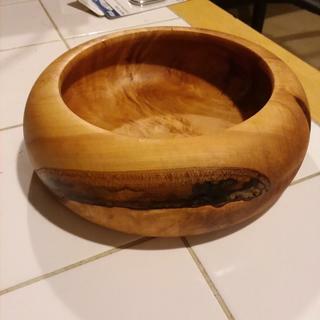 I am a novice wood turner and would like to turn bowls more easily. I believe based on the reviews, that this will help me to do so. I have used a carbide mini and realized I needed a tool with a little more depth. 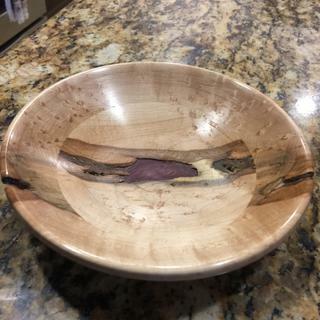 I'm new to turning. Best value that I have found. I have a starter set (Non Carbide) I had bought with my lathe to get me started, Now I decided to upgrade with carbide and with better quality. 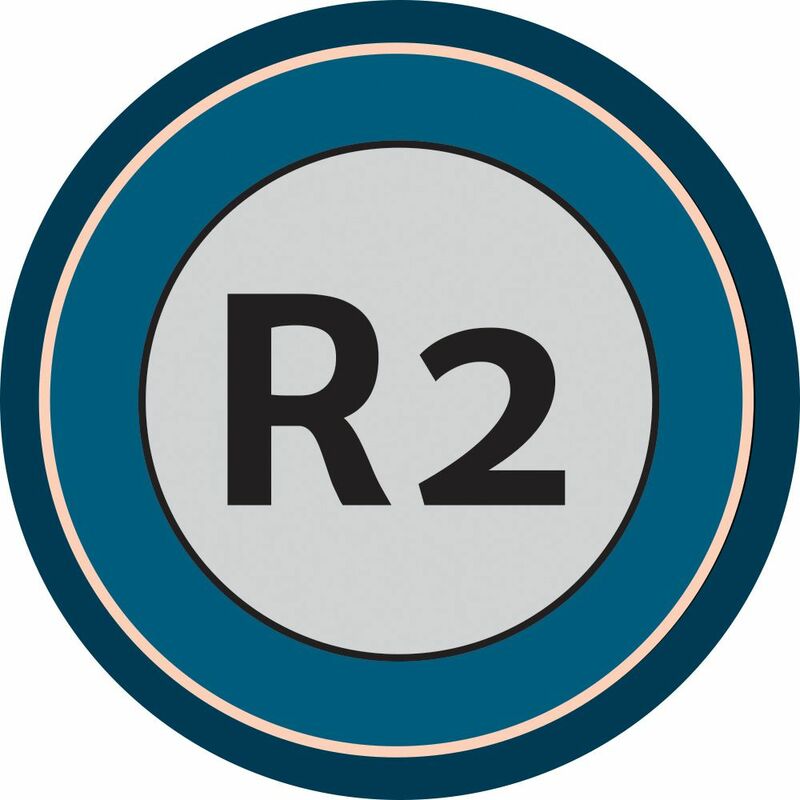 Verified with a friend who has this tool, that it's Awsome! Struggling keeping HSS tools sharp. Hard wood eats them up. I have to stop and sharpen multiple times on a single project to keep clean cuts. Hope these solve that problem, reasonable price on sale. Needed to start turning pens. I like the middle size tools I bought on sale to check out carbide tools. I saw Brad from FixThisBuildThat on YouTube using these tools! 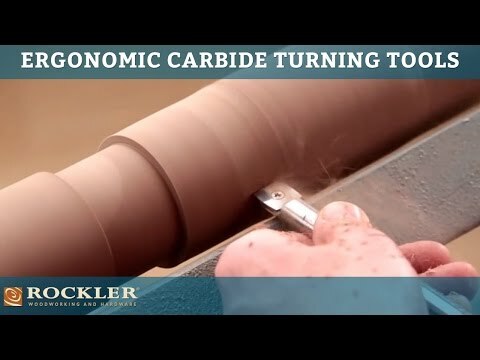 I want to give turning with carbide tools a try. The reviews were excellent. 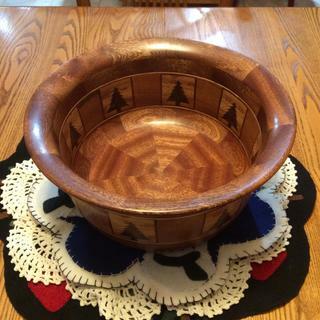 Also, a fellow wood turner uses carbide tools and loves them. Great tool at a great price. Bought a lathe and needed tools. Great sale price. Should be offered as a set. I have other carbide tip tooling and wanted to try a round carbide tool. I watched a video on using this tool and it looked like something I would enjoy using. To get me started in wood turning while I'm learning how to use and sharpen my HSS tools. 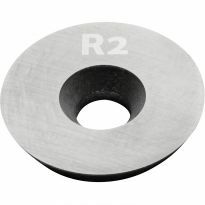 What Grade carbide is the cutter? Asked before, what is the size of the screw and are they available? Where are these tools made? BEST ANSWER: The ever-so-slightly rounded square edge helps protect against catches (corner digging in) but still keeps a lot of the blade edge on the wood. I use it a lot for final smoothing cuts with less danger of ruining an almost finished piece. For final flat finishing of a bowl bottom, however, stay with the full square blade. "officially" you can fit the slightly curved blade onto the tool that is made for the full-square blade. It is not a perfect fit, but it will work. Personally, I just want to grab the right tool and not stop to change a blade, so eventually I bought the right tool. But if you want to just try the slightly curved blade without committing to the cost of the whole tool, it will work. The square ergonomic carbide insert is, in fact square. The square radius insert has a slight arc on the cutting edges. The square radius is not a geometric square. You get to cut with an arc that is flatter than the arc of the round insert. 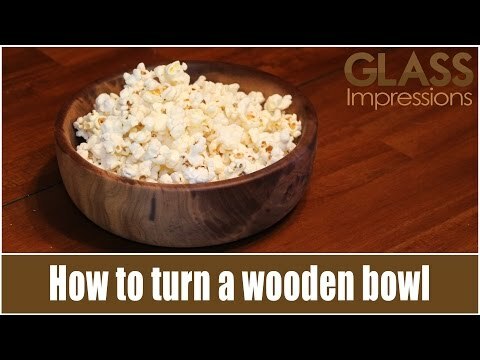 How well do these tools work with bowl turning? BEST ANSWER: I have 20 other tools and an expensive sharpening system. They are "collecting dust" now as I use the Rockler carbide tools almost exclusively. I doubt that Rockler's are particularly better than any other name brand tool, but they are more reasonably priced, and even at that they go on sale periodically. You will end up wanting every one of them (4 total now I believe). Some of the old timers "pooh pooh" them. Do you remember when digital cameras first came on the scene? No way they would last, or provide the same quality as film. That is what you heard from the nay-sayers, and especially the pros. Bought any film lately? start off with the full circle one if you turn bowls. You will like them. I just started turning last April and bought the 4 carbide tools because of the expense of traditional tools and the required sharpening equipment. About 60% of our club members use carbide to various degrees. I now have some traditional tools but still use my carbide for roughing and finishing my bowls. I rotate my round tool to about 45 degrees for light finishing cuts. Hope this helps. I do not cut bowls but these are wonderful for all the different wood type s I have used them on much better than the tools I have to sharpen. they work quite well. but remember this is a scraping tool and will tear end grain if used aggressively. The tools work very well. the price was right when I purchased them. I keep getting catches when trying to clean up the inside of a bowl or goblet. Not sure what I am doing wrong?. BEST ANSWER: Im guessing this is due to having two points of contact at the same time. As the bowl spins and the cutter head contacts at two points both points and rotating at different rpm. This can cause a catch no matter what turning tool you use. 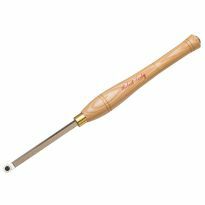 I own one of these and it does greatly reduce the learning curve vs using traditional turning tools but, they will still catch if you're not careful. Turning the inside of anything is far more difficult than the outside. Making sure your steady rest is close to your work piece is paramount. Keep your tool sharp and go at it slowly. Once you have a gouge your tool will continue to catch in the same spot so gently work either side of the gouge until you can blend it out. This tool is Basically a scraper, it gas to be engaged with tool rest slightly higher than Center and held with handle tilted up, cutter approaching slightly tilted down. What is the size of the screw that holds it on? Lost mine. Don't know right now will be out of town for a few days. Sorry. not sure. I love my tool. sorry! What is the diameter of the cutter? 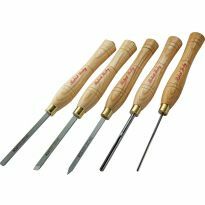 Are these as good as Easy Turn Wood tools and are the inserts interchangeable between Rockler and the Easy Turn tools? BEST ANSWER: They are a great set for carbide tools, especially your first carbide set as they are a bit differnet then HSS to work with. I like the handles better on the easy wood, but the rockler set is a very nice set. I have all three in the bigger size and use them almost daily. They are not interchangeable with another brand as far as I know. I was wondering if the round and square blade inserts are interchangeable on the same handle. If so how difficult is it to switch from one cutter head to the other? BEST ANSWER: no...and sort of. The round and square are not interchangeable on the same handle..not even close. But in a pinch you can fit the "round-square" on the handle meant for the square blade. It is not a perfect fit in that the "round-square" does not seat perfectly flat, but you can get buy with it until you save up your pennies to buy the correct handle (on sale of course) which you will eventually do. Changing the blades is a 3 minute task, but you will much rather just want to reach for the correct tool, all ready to go. But forget all about the round fitting the square, or vice-versa. BEST ANSWER: if you look at the tip configuration you will notice that each tool tip is a different shape, so your round will only fit on a round. An excellent tool, and every couple of months you can just rotate to get an new edge. Carbide bits can also be sharpened over again, just check on you tube to learn how. I have four complete sets of these tools and 4 sets of mini tools for a program I run with Veterans in Lincoln, Ne., these tools give access to veterans to turn pens without learning all the tricks to sharpening tools. On sale these are a great buy. 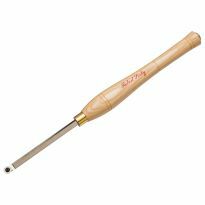 Is this used in place of a bowl gouge? My next project is an urn and I'm considering this tool for the depth of the job. What do you think? BEST ANSWER: You can use it for that purpose if you need. I have made many bowls use my the carbide turning tools.